Oracle - Distributing and supporting JD Edwards OneWorld, WorldSoft and PeopleSoft lines of enterprise solutions. Cognos - Providing support for Cognos 7 – Impromptu and Power Play, Cognos Report net, Cognos 8 BI – Analysis Studio, Query Studio, Report Studio, Event Studio and Score-carding, Cognos 7 and 8 Planning and Cognos 8 Consolidation. Data Systems International - Our extensive expertise in the Supply Chain Logistics industry is why we are strategic partners with DSI supporting the implementation and support of the dcLink product tracking sales, WIP, raw material and finished goods inventory. Ashtech Infotech Pvt Ltd – Our partnership with Ashtech strengthens our capabilities in the area of offering infrastructure solutions to our clients. Ashtech is one of most reputed IT infrastructure solution providers and together we provide the most comprehensive solution to our clients in the area of IT infrastructure. Ibexi Solutions Private Limited – Partnership with Ibexi solutions synergies our offerings to the Insurance industry covering client’s business as well as IT needs. Mashoura – Our partner in Saudi Arabia to provide all Management Consultancy and Information technology needs to local companies and international companies in Saudi Arabia. 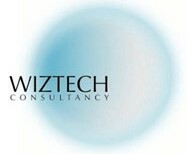 Wiztech Consultancy – Our partner in UAE to provide all Management Consultancy and Information technology needs to local companies and international companies in UAE.